For home entertainment, you’re all set with this Samsung Smart TV. It’s packed with technology that delivers faster HD streaming, catch-up services and gaming. And with Samsung’s Wide Colour Enhancer bringing its magic to the huge 49” LED screen, you get pictures that are brighter and clearer than you’ve ever seen before. Click ‘Redeem’ and your Samsung Full HD 49" LED TV will be sent by courier to the address that you have registered with Dulux Trade Points. Please allow up to 10 working days for delivery. 1. 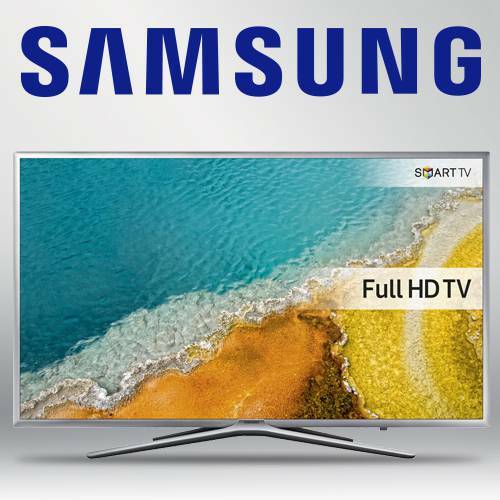 Offer is valid for one Samsung Full HD smart 49’’ LED TV. Models may vary and are subject to availability. .
2. TV’s  will be sent to the address registered with Dulux Trade Points. Deliveries will be made using a courier. All orders will require a signature on arrival. The customer will be contacted prior to dispatch to confirm delivery address and that they will be present at the proposed time of delivery. 3. TV’s  will normally be received within 10 working days. Where possible we will try to meet all delivery requirements but neither Dulux nor TLC Marketing shall be liable for any loss incurred either directly or indirectly by failure to meet the delivery date and time indicated at the time of order being placed. ‘Loss’ in this instance includes loss of profit, costs, damages, charges or other expenses. 4. Risk will pass to the customer upon delivery. Neither Dulux nor TLC Marketing can be held responsible for lost, stolen or damaged TV’s following delivery to the recipient. The Samsung TV  will NOT be replaced or refunded if lost, stolen or damaged. 6. In the event of unforeseen circumstances the Promoter and TLC Marketing reserves the right to withdraw, change or substitute the reward for a suitable alternative of equal or greater value without notice. There are no cash alternatives available.